How to get a Stand-up? Stand-Up’s the epitome of a fun approach to the serious side of (working) life. Stand-Up like a sit-stand stool encourages us to forget familiar positions and postures, swing our hips and let our thoughts take flight. Because Stand- Up’s designed like a roly-poly toy to keep us on our toes. It does what it promises. Even from a vertical, up to 50° angle, with a gentle push Stand-Up swings back and rights itself again. In addition to the playful aspects of the design, its tilted stance underscores one of its most important features. 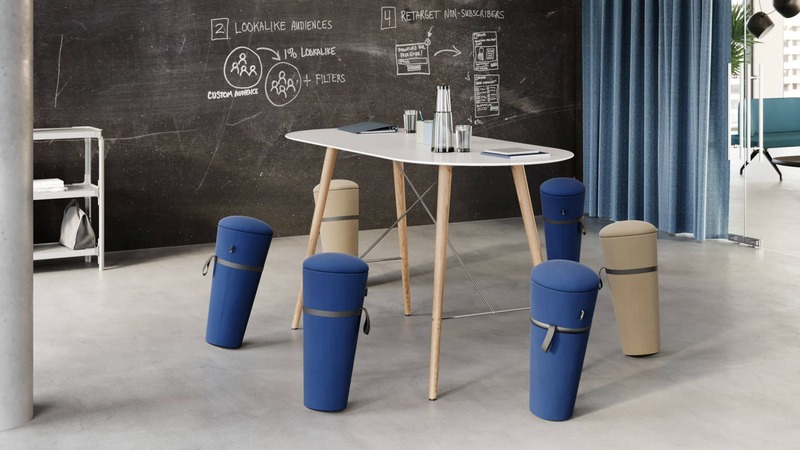 It shows that it’s a dynamic, flexible support and not a stable, static stool.